Barbara Underwood, 82, of Paoli, passed away March 17, 2019 at IU Hospice House of Bloomington. She was born July 21,1936 in French Lick, IN to parents, John Woodrow "Woody" & Juna Lucille (Flick) Robbins. She married Bobby Underwood June 14,1952. 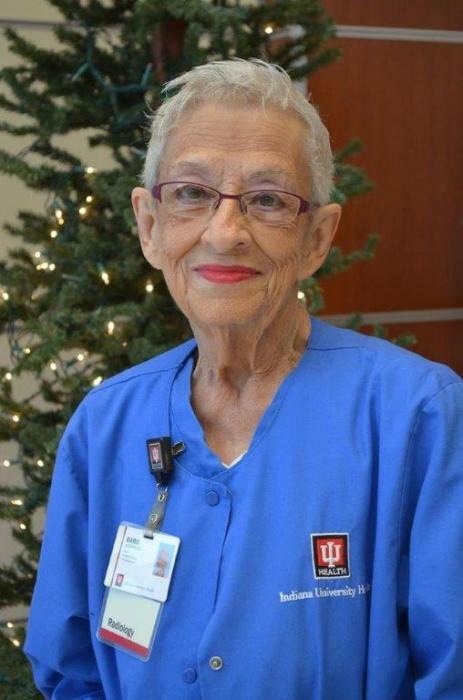 She worked as a radiology technologist at IU Health Paoli Hospital where she served the community for 58 years. She considered her co-workers and patients to be like a second family & the hospital her home away from home. She was a devoted mother, grandmother & great grandmother & she had a laugh that will not be forgotten. Funeral will be 11am Thursday, March 21 at McAdams Mortuary. Visitation will be from 3-8pm, Wednesday, March 20 at McAdams Mortuary, and Thursday from 9am until the service time. Bro. Steve Lock & Bro. Harvey McAdams will officiate. Burial will be in Cooks Chapel Cemetery. In lieu of flowers memorial contributions may be made to: IU Health Foundation Paoli P.O. Box 1149, Bloomington, IN 47402 or Pine Valley Restaurant C/O Annette Bullock-Cox, 5579 S. State Rd. 37, Paoli, IN 47454.